Using Inserting Transaction Points we can measure Test Transaction. 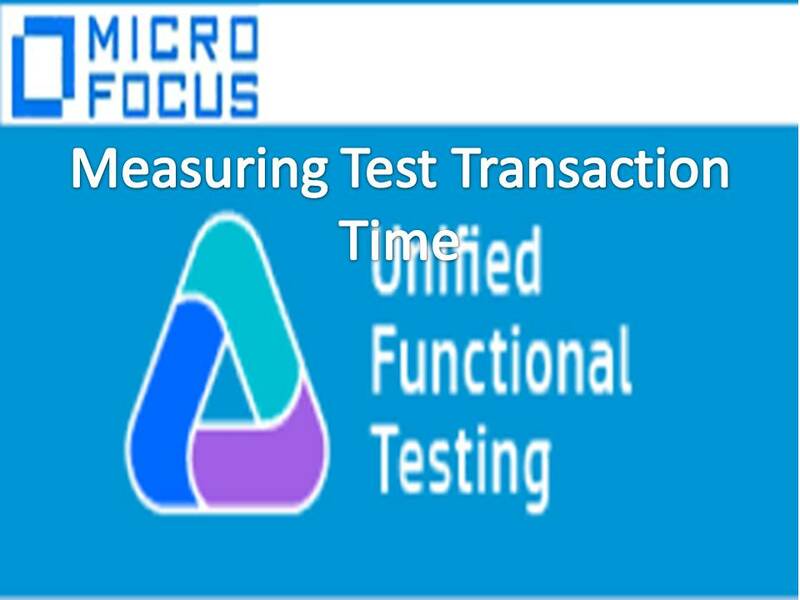 We can measure entire Test transaction Time and Part of the Test Transaction Time. We can insert multiple transaction points in a Test. Transaction points export the value to UFT Result window only. We can’t display the value locally and it can’t be exported to external files. Using Timer Function (VBScript Built in Function) we can measure Test transaction Time. If we use our own logic then we need to define Test Result. Using Reporter Utility object we can define Test result.